it's past time I to present you a new papercraft. So without few words: Her comes the Lil Rascal. 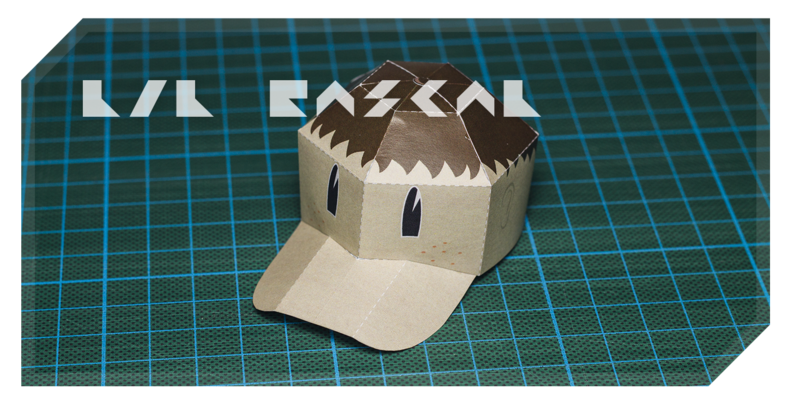 As you can see it's a new version of the baseballcap model, like the Eiskubus-Cap and Mr. Mo. So have fun and build your own cap collection. I plan to add several more over time and maybe even a shelf or storage system. As always I'm open for your feedback. So feel free to leave a comment.